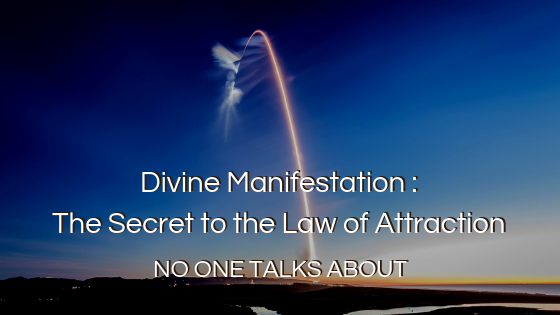 I'm going to be sharing with you that have divine manifestation showing you a way of going beyond that, of the ego construct of how we create our reality to create things in our life easier than ever. Today, I'm going to be sharing with you that of understanding divine manifestation and how many of what we call it, enlightened people manifest from a higher-level paradigm. I'm sure you've seen me before in almost every other video sharing that chart of consciousness also right here just because I feel like sharing it. You see that charter consciousness right here. You'll see at the bottom of that you'll see lower vibrational emotions such as shame, fear, guilt. You'll see it eventually move up to neutrality, the neutrality. It goes to willingness eventually or acceptance, and then you get to that of reasoning and then you got love above love. You eventually see joy, peace, and enlightenment. The idea is that the higher up the scale we go, the more we realize our divine essence, who we really are. When we're at the lower level paradigms, we are emphasizing the ego. The ego is what we use in physical reality and physical reality. We have the ego. The ego is kind of like our avatar because at greater levels we are immortal. Spiritual beings live in temporary human experiences. In our lives, what happens is we forget that who we are, we're born, we forget it. Maybe even when we're born, we could say we knew this or we remember this when we're even younger. But, through social conditioning, it gets socially conditioned into us that we are our egos, that we must identify with our senses. Eat a Big Mac because of how delicious is that? And would you like fries with that because it's even more stimulation? And then you go, well, the next thing I want to do is this thing of stimulation, this thing, all this stuff, commercials. Everything that is marketed to us is to get us into our senses. Because when we're in our senses, we totally are identified with it and then we think that we are our ego and when we think our ego, we are our ego. We didn't play very small and we manifest things from what I really want that because it just got marketed me on television and that person has it, and if I had it, I'd feel more whole and complete. However, here's the thing, as we raise our vibration, manifestation becomes easier because we're in a higher frequency. Not only that, we start to identify and we start to relate to more of our divine essence and as we let go of lower vibrational states of emotion, we also let go of excessive desire. I really want that because we realize we're already whole and complete not divine manifestation is about understanding the truth about who we are so that we can then manifest things easier than ever from a totally new paradigm and from a higher-level frequency. As you move up the scale, you will embody more love, more gratitude, more awareness that the other people in your life or reflections have you. At the deepest level, so whatever you do to someone else, you do to another aspect of yourself because literally that person at the deepest level is another aspect of self and when you understand, you start to raise your vibration, that's when things begin to change. You see the charter conscious, and I'm going to come back now when I read a book called autobiography of a Yogi by Yogananda. This is a book that I've been promoting a lot lately are telling people it's a really good book. It's a book that a Steve Jobs read every single day or no, every single year for the last 40 years of his life. It's also the only book he had on his iPod or an iPad or. And also, it's a book that is basically an enlightened guy that goes through enlightenment and toxic. He brought yoga to the west, to America, and it's his life story of what he experienced in his life. And you hear these stories of him in India around these enlightened sages and gurus. You hear of things that are literally sound impossible. Understanding that magic is real, and when you think of this, also understand that there's this collective conditioning that keeps us, our beliefs, keeps us in a certain box. The truth of the matter is we are moral, spiritual being, living temporary human experiences, and that our beliefs create our reality now at a collective level, our collective beliefs create what is possible for us in this reality and because it has been programmed into us that it is not possible to do magical things. Then what happens is as we play so small, we play according to those rules. The thing is when I say magic is real, what I mean is these enlightened gurus. There are stories with Yogananda that he talks about, they're able to do literally magical things because they are of such a high vibration and because they recognize the divinity in themselves and have everything else understand that everything in life is a piece of source energy, of God, of this higher vibration. We can call it whatever label we want. Everything is a part of it. In lightened, people understand that and because of that, because they're not so consumed by their environment and the reality that they live in the 3D reality, they're able to do things like that. The more we emphasize 3D, which is duality, the more we are in duality. What enlightened people understand and where the divinity comes in is they realize that we are all in the dream of the divine God. Whatever we want to call it, we use these terms with sometimes we get attached to certain terms. We are all a piece of God. What most people do is most people will worship the puzzle, not understanding that they are also a piece of the puzzle. The key is recognizing that what we can do is embody our divine selves. Now, what is another aspect of this? That very much helps. What helps is understanding that because we're all connected, the more good that we put out to other people is the more good that comes back to us. The other side of this, as well as aligning with the universe, I talked about this before with the process I use called reality transit or something called outer intention. When you tap into the intention of other people, which is out of us, you know from a 3D perspective, we then tap into a larger energy source. What I do for example with my YouTube channel is I have this intention of adding value to people and because of that, these YouTube videos help other people. It's almost like the universe helps me because it wants me to continue to be a more and more service because I am embodying the energy of this adding value and it's closer to my divine self. We are all divine. If you believe you're not divine, it is just an identification with something that is not you. You are divine. You are a piece of the puzzle we call God. When you understand this, you start to, you start to feel into this. Let this be more than insects, actual idea. Let this be something you embody. You will then have abilities beyond that of what you think is imaginable and the universe will work for you because, in this reality, the way that it works is we are creating our own reality and then we are collectively creating our reality as well. When you start to tap into the adding value of other people, these enlightened gurus, when they're able to add value, when they're able to do things, they do it with this divine intention. They do it with this intention of adding value or this intention of making it a win-win because they realized that they are in a way like a vessel. The more that you become and realize this divine part of you, the less you there is in the ego sense. Like when I make these videos, not that I'm like these divine spirits. Well, we're all spiritual beings, but not that I'm trying to put myself on a mountain and say, look at me. I'm so divine. We're all divine, but when I make these videos, I have this intention of allowing the inner at the information of flow through and the more that I allow this, the less I am here because I am a vessel for which this information can come through. That sounds kind of deep. That may be a little bit esoteric, but the truth is we are vessels of light and even though we may identify with our ego structures, they are not just who we are. Say, well, I've era. This is me. This is the physical flesh blood that I have, but it is such a small part of the larger being of who I am in the same for you, but the more we emphasize the 3D reality, the more we emphasize the physical structure and then we think that this is all that who we are. The more that we create that reality, the more that we experienced that. The truth is you are divine. When you look at enlightened people of the past, even if you look at someone like Jesus are, you look at someone like Buddha. They embodied their divine self. You also have that divinity within you. Any great enlightened teacher of the past has said that the things I can do, you can do even greater things. You have the same potential within you. 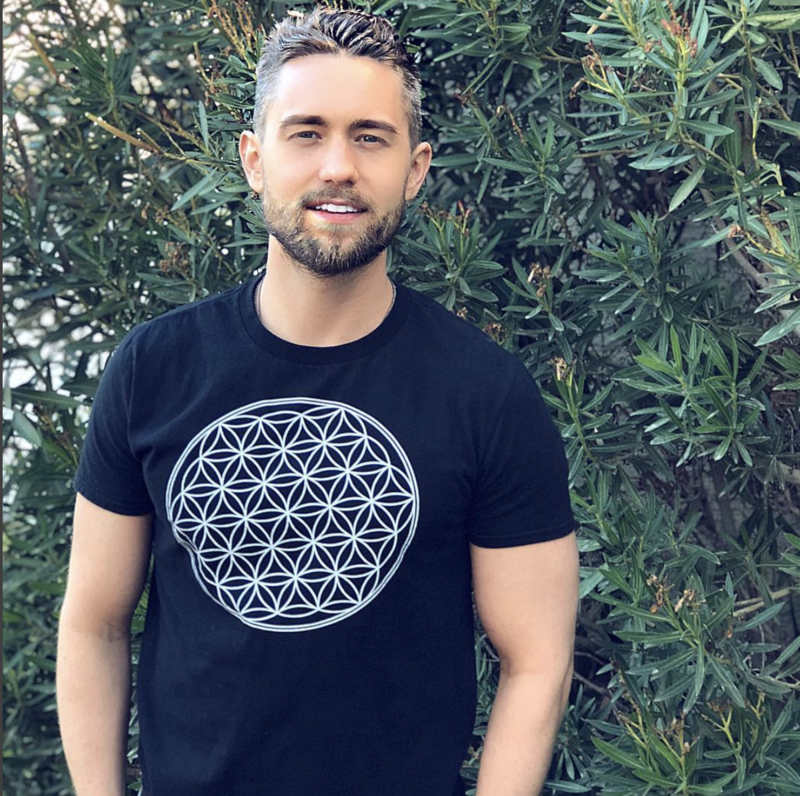 It is about embodying your divine self and aligning with the universe, aligning with this energy, a wet, powerful way to do that as a follow your passion because it raises your frequency and you start to be in a higher vibrational state and that's assigned to you, that that's what you're meant to be doing. In your life at the same time, the more that you put awareness inside of your heart, the more that you create from this divine place. When you create from duality, from 3D reality you create from the head you create from polarity, left brain, right brain, good, bad light, dark, logical, creative, up, down, all of these different things. Then you create the polarity because in the wanting of something is also the lack of it. When you create from your heart, you create from a singular point of focus. When you create from your heart, you create from a divine pure place and the way that you do that is you do something you're actually passionate about. When you create from your heart, you create from a singular point of focus. When you create from your heart, you create from a divine pure place. You feel from your heart more often, but the awareness in your heart right now, you can put your hands over your heart like this and take a deep breath in. Breathe it out, and I'll put the intention and the intention and attention inside of your heart and set the intention that you feel more of this love inside of your heart right now. Let's for a minute or two. As you do this, you increase the energy inside of your heart space, and as you increase the energy in your heart space, you increase the electromagnetic energy, runs your body, and the heart math institute has shown that the energy inside of your heart is thousands of times more powerful than the head. Divine manifestation is about creating from your heart and you do this with compassion. You do this with awareness, with gratitude, and by just putting your awareness in your heart for a couple minutes a day, you begin to bring more energy of this within you because the truth is you are divine. This energy can flow through you right now. This energy is flowing through you right now. You know, young Yogananda also has this thing that he talks about where he does this. He has this. It was a talk, I think. I don't remember if it was in the book. I think it was a talk I listened to. He talked about how would you go to a movie theater? You will look at a screen and you will see light that is projected through this projector. There were film strips that will show you and light will be projected onto the screen and for a short period of time you will suspend belief and immerse yourself in that of the movie that you're watching and you will enjoy it. There'll be ups, they'll be downs, will be challenging. There'll be different things in that movie that you like. Certain things you may not like. At the end of the day though, everything been projected onto that screen is just different compositions of light and at the end of the day, none of it is actually really what's happening. It is just a reflection or it's just some just some component of that. In the same way that that is just composition of light is different forms of light that you can, that you can buy into for a period of time for the experience. Everything in life is the same exact way. It is different compositions of light and you are divine lights. We give more emphasis to this and we give more credibility saying, well, this is actually real, but at higher states, this is a dream and because this is a dream because you are a divine spiritual being. This is who you are. The more you realize who you really are, the more you grain these abilities in your life, the more you will literally have magical abilities because you will it be embodying that divine light at a higher level. Enlightened people know this. If you read the book yoga a by Yogananda, you'll see these people literally have magical abilities and it's because they are and embodying that divine light beyond this reality or in this reality, but I'll also higher states of consciousness, so this is something that is available for you. You are divine. You are a piece of that puzzle. Start to embody more of that. Put your hands over your heart for a couple minutes. Understand that the more you align with the universe, the more the universe will work for you. You are a vessel of light and the more you allow it through, the more that you will experience that.